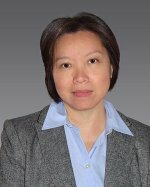 Dr. L. Ruby Leung is one of four scientists at Pacific Northwest National Laboratory to be inducted into the Washington State Academy of Sciences in September. The academy recognizes scientists and engineers from across the state for outstanding scientific achievement and leadership. Academy members provide expert scientific and engineering analysis to inform public policy-making, and work to increase the role and visibility of science in Washington state. Leung is a PNNL Laboratory Fellow and an internationally recognized leader in regional climate modeling. Her innovative research on modeling regional climate change and its impacts guides national policy-makers on decisions related to water, agriculture, energy, public health and national security. She has organized key workshops sponsored by environmental agencies, served on panels that define future priorities in climate modeling and hydroclimate research, and developed regional climate models that are used globally. See also: PNNL news release, "Four PNNL staff selected for state academy membership," KVEW-TV news release, "PNNL Scientists Recognized for Achievements," and the Tri-City Herald news release, "PNNL scientists join Washington State Academy of Sciences."